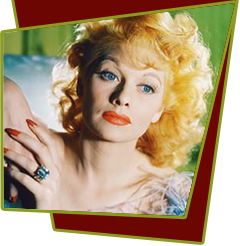 Lucille Ball offers a seminal version of her Lucy Ricardo TV character in Her Husband's Affairs. Lucille Ball is cast as Margaret Weldon, the wife of advertising executive William Weldon (Franchot Tone). Though Weldon is successful, Margaret can't help but feel that he'd be more successful if she were to take an active part in his business affairs. The fun really begins when Margaret tries to help Weldon promote a crackpot inventor (Mikhail Rasumny) who's come up with a revolutionary new embalming fluid, a magical hair-growing formula, and one that turns flowers into stone. When circumstances conspire to make it appear Bill has murdered the inventor, he spends more time in the courtroom promoting his wild ideas than he does defending his life. Margaret's testimony saves her husband, after which he continues to demand she quit meddling in his affairs. Special Notes: This film marked the first Columbia release of a Cornell Pictures production.